Tim Cook thinks people should get off their iPhones and decrease their engagement with apps. The Apple CEO, speaking at the TIME 100 Summit today, was discussing the addictive nature of our mobile devices and Apple’s role in the matter when he made these comments. He said the company hadn’t intended for people to be constantly using their iPhones, and noted he himself has silenced his push notifications in recent months. “Apple never wanted to maximize user time. We’ve never been about that,” Cook explained. It’s certainly an interesting claim, given that Apple designed a platform that allowed app developers to constantly ping their users with the most inane notifications — from getting a new follower on a social app to a sale in a shopping app to a new level added to a game and so much more. Apple announced today a further investment in its recycling programs and related e-waste efforts, which includes an expansion of its recycling program for consumers and the announcement of a new, 9,000-square-foot Material Recovery Lab based in Austin, Texas, focused on discovering future recycling processes. 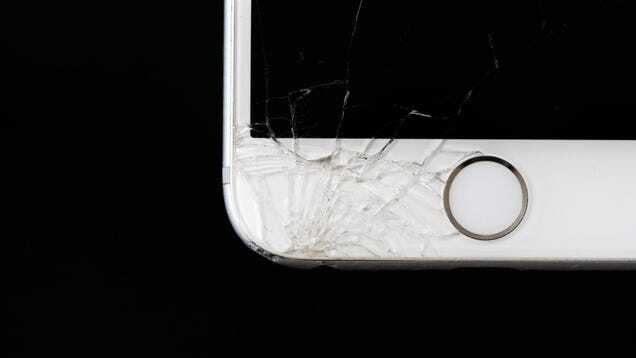 The company also reported the success of its existing efforts around recycling and refurbishing older Apple devices, and keeping electronic waste from landfills. The expansion of the recycling program will quadruple the number of locations in the U.S. where consumers can send their iPhones to be disassembled by Daisy, the recycling robot Apple introduced last year — also just ahead of Earth Day. The robot was developed in-house by Apple engineers, and is able to disassemble different types of iPhone models at a rate of 200 iPhones per hour. Daisy can now disassemble and recycle used iPhones returned to Best Buy stores in the U.
Audi’s self-driving unit has tapped a startup with a unique approach to lidar as it ramps up testing in Munich using a fleet of autonomous electric e-tron crossover vehicles. 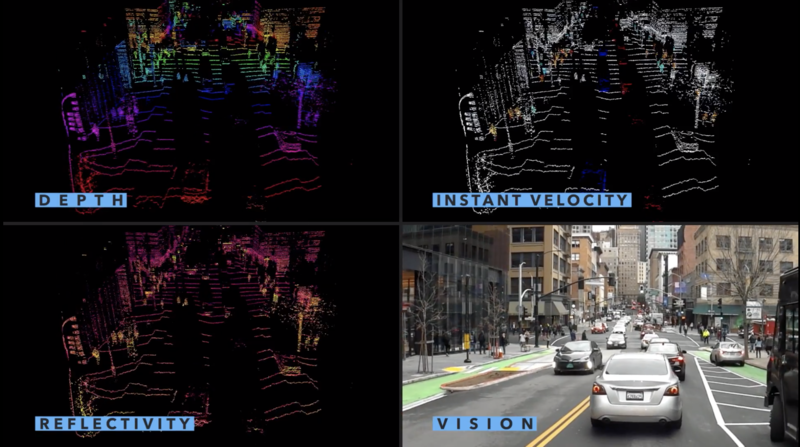 Audi subsidiary Autonomous Intelligent Driving, or AID, said Wednesday it’s using lidar sensors developed by Aeva, a startup founded just two years ago by veterans of Apple and Nikon. Aeva, a Mountain View, Calif.,-based company started by Soroush Salehian, and Mina Rezk, have developed what they describe as “4D lidar” that can measure distance as well as instant velocity without losing range and all while preventing interference from the sun or other sensors. Move past the 4D branding-speak, and the tech is compelling. Apple is working to combine its tracking apps, “Find My iPhone” and “Find My Friends” into one unified app available on both iOS and Mac, according to a new report from the Apple news site 9to5Mac. In addition, the report says, Apple is developing a hardware product that can be attached to other items that Apple customers want to track — similar to what the Bluetooth tracker Tile offers today. All that IPO optimism—in addition to ongoing Facebook shenanigans—keep us a wee bit distracted from the dark clouds that are gathering on the horizon. Earlier this week, the Semiconductor Industry Association reported that the “worldwide sales of semiconductors reached $32.9 billion for the month of February 2019, a decrease of 7.3 percent from the January 2019 total of $35.5 billion and 10.6 percent less than the February 2018 total of $36.8 billion.” Coming on the heels of breakneck and record-breaking growth from 2016 to 2018, this is expected to be a slow year, with the industry growing a mere 2.6 percent from $468 billion in 2018. Qualcomm stock surged after the announcement that the company has settled its multi-billion dollar lawsuits with Apple. At market close Qualcomm’s stock price settled at $70.45 after opening at $57.46. Qualcomm stock spiked by about 18% with the news. According to a report from 9to5mac’s Guilherme Rambo, Apple is working on a feature that would let you pair your iPad with your Mac to turn your iPad into a secondary Mac display. That feature codenamed Sidecar could ship with macOS 10.15 this fall. If you’ve been using Luna Display or Duet Display, you’re already quite familiar with this setup. Those third-party hardware and software solutions let you turn your iPad into an external display. You can then extend your Mac display, move windows to your iPad and use your iPad like an external display. In a tweet this morning, Apple chief executive Tim Cook said the company would be donating to rebuilding efforts to restore Notre Dame. “Cartel Land,” “Life, Animated,” and “The Tillman Story,” combined, went on to win over a half-dozen Emmys, along with other industry awards. Uber spent $457 million last year on research and development of autonomous vehicles, flying cars (known as eVTOLs) and other “technology programs” and will continue to invest heavily in the futuristic tech even though it expects to rely on human drivers for years to come, according to the company’s IPO prospectus filed Thursday. R&D costs at Uber ATG, the company’s autonomous vehicle unit, its eVTOL unit Uber Elevate and other related technology represented one-third of its total R&D spend. Uber’s total R&D costs in 2018 were more than $1.5 billion. Uber filed its S-1 on Thursday, laying the groundwork for the transportation company to go public next month. This comes less than one month after competitor Lyft’s debut on the public market. Uber is listing under the New York Stock Exchange under the symbol “UBER,” but has yet to disclose the anticipated initial public offering price. “It is our contention that the investment industry may be experiencing a peak of its own, in this case the point of the maximum rate at which it extracts value from its clients’ assets. Let’s call it Peak Gravy.” That’s a recent quote from Tom Coutts, who is one of a few dozen partners at Baillie Gifford (See Arman Tabatabai’s profile here). It’s also typical of the provocative sentiments offered by this band of fund managers who are based in Edinburgh, but scour the world looking for opportunities.